Bolsonaro has been using a colostomy pouch since he was stabbed in a campaign rally in Juiz de Fora in the state of Minas Gerais, last September 6th. RIO DE JANEIRO, BRAZIL – Brazil’s President, Jair Bolsonaro, is undergoing surgery on Monday to remove a colostomy bag and reconstruct his intestinal tract. This is the President’s third surgery in four months to repair damage done after a man stabbed him during a campaign rally. 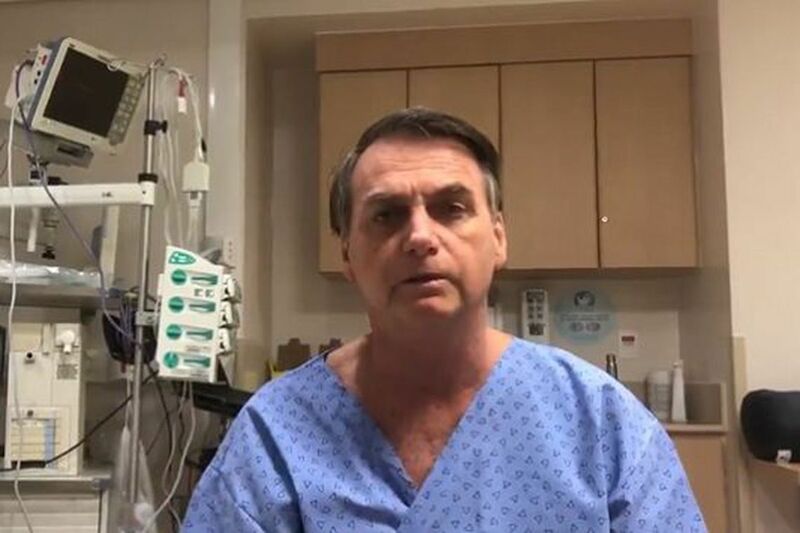 President Bolsonaro thanks followers for well-wishes before surgery on Monday, photo internet reproduction. Bolsonaro, through a video on social media on Sunday, thanked his followers for the support and well-wishes he received. “God willing, everything will go well. My thanks to all of you and thank you for the prayers,” he said in the video. The knife struck the then-candidate’s intestine, and Bolsonaro underwent surgeries to repair the damages, one at Santa Casa de Juiz de Fora and another at Albert Einstein Hospital in São Paulo. The man who attacked the presidential candidate was identified as 40-year-old Adelio Bispo de Oliveira. Oliveira was arrested at the scene and is currently in jail. The Presidency spokesperson, General Otávio Santana do Rêgo Barros, said Sunday that after the first 48 hours, Bolsonaro is expected to return to work still in hospital. According to officials, the hospital has set aside a space from where the president will be able to dispatch with cabinet members and advisors. On Saturday, before leaving for São Paulo for his surgery, Bolsonaro flew to Brumadinho, Minas Gerais to see the damage caused by the Feijão dam burst.